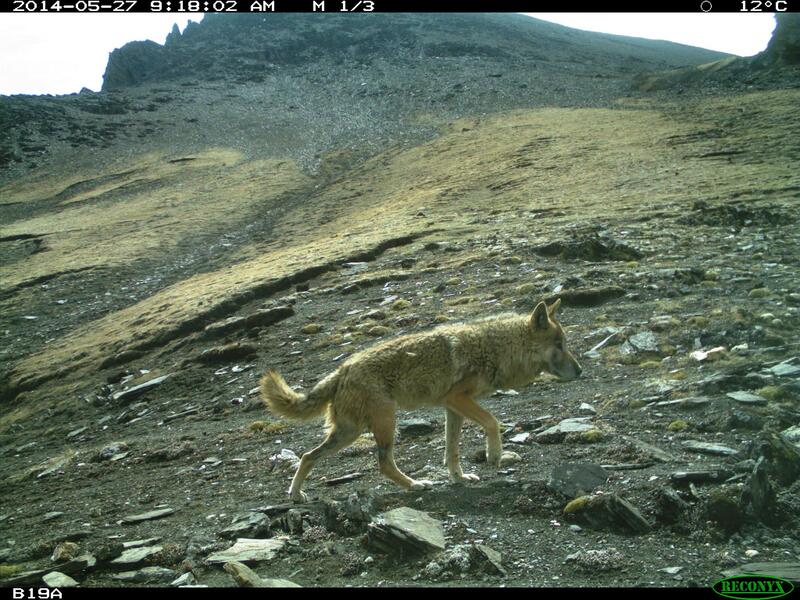 Kathmandu, Nepal – One new species and one subspecies of mammal have been documented for the first time in Nepal. The two new animals, namely Steppe polecat (Mustela evermanii) and Tibetan wolf, scientific name Canis lupus chanco (a sub-species of the grey wolf) were documented for the first time in Nepal in the Trans-Himalaya of Upper Mustang of the Annapurna Conservation Area (ACA). The principal investigator is Madhu Chetri, PhD fellow and Senior Conservation Officer at the National Trust for Nature Conservation (NTNC). 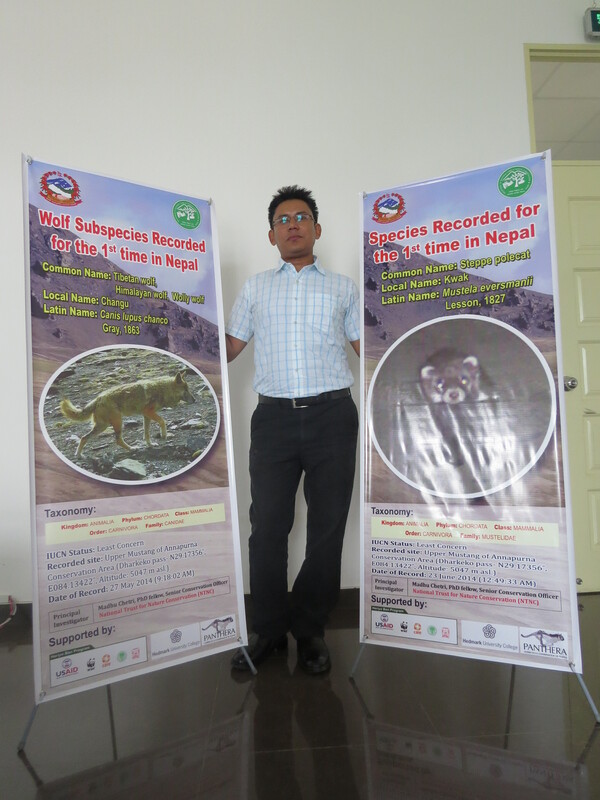 They were documented during a study on other animals – snow leopard and grey wolf – that was initiated with support of the USAID funded Hariyo Ban Program as part of its efforts for biodiversity conservation. 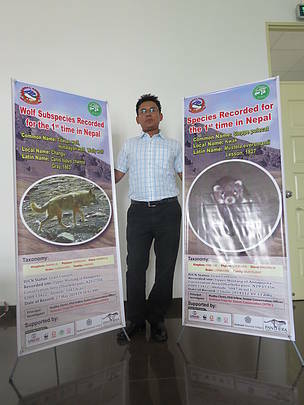 The long term ecological research project aims to assess the status of snow leopard and grey wolf in the Annapurna-Manaslu area of the Chitwan Annapurna Landscape (CHAL). The research has been carried out in this area since September 2013 using various methods like camera trapping and genomic analysis of animal scats. It has been further supported by Panthera-Kaplan Graduate Awards and Hedmark University College, Norway. 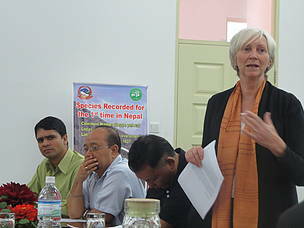 The documentation of the animal species and sub-species brings the number of mammal species in Nepal to 211. The discovery of these animals is heartening news for conservationists. 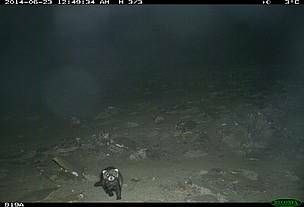 Eminent scientist Prof. Dr. Karan Shah, who helped in the identification of the polecat, said that discovering two new species of mammals was a wonderful contribution to the scientific and environmental field. “The presence of such animals not only helps to maintain ecological balance, but also attracts a lot of interest because of their rareness factor,” he said. According to him, efforts should now be made to study the animals through a scientific, academic and cultural lens – which will perhaps even give rise to ecotourism as more researchers flock in to study the species. 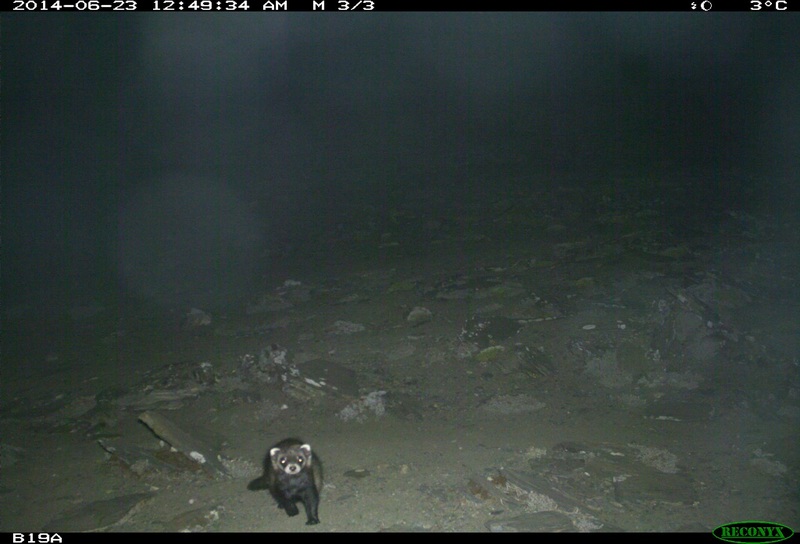 Speaking about the discovery, Chetri said, “We were lucky that the camera trapped these two animals new to Nepal when we were researching snow leopard and grey wolf. It is essential to conduct research about them, and work hand in hand with the local community to conserve them in the best possible manner.” It took him nearly two months and plenty of research and scientific interaction to establish the identity of the species. Concluding with the event organized to mark the discovery of the species, Govinda Gajurel, Member Secretary of NTNC, suggested the creation of a platform for scientists to meet and discuss the latest developments of the environmental world.